No matter what industry your business is in, you have competitors. One way to think of who your competition may be is to consider the options customers have in solving a problem or fulfilling a need. Hence, you and multiple others are competing for that business. Differentiating your business and its offerings is imperative for survival and success. To differentiate your business, you must have a clear understanding of what else is out there. The best way to do this is through conducting competitor research. The purpose of conducting competitor research is to understand the strengths and weaknesses of your competition, consider your own strengths and weaknesses, and develop a strategic framework that differentiates your business and attracts customers. 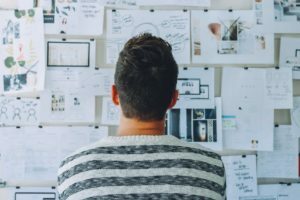 In this blog, we’ll look at what goes into conducting competitor research and the advantages it provides to your business strategy. Know Your Competitors: To research and analyze competitors, you must first acknowledge who your competitors are. Every business has competitors, as in other businesses offering a similar solution to consumers’ needs. You’re most likely aware of your competition already, but if not, a simple Google search can help provide a more comprehensive list. The next step is categorizing your competitors by whether they’re a direct, secondary or indirect competitor. A direct competitor is when a company has a similar business model as you and offers the same product or services. A secondary competitor is one who offers the same solution but in a different context. An indirect competitor is a differing business from yourself but serves as an alternative solution to shared consumer’s needs. Evaluate the Competition: Once you have your competitors listed and categorized, you can begin to delve into their strengths and weaknesses. Viewing their website and social media sites to gauge their online presence is a good starting point. You may also search online for additional press on them to see areas in which they’re strong and areas in which they fall short. The key here is to analyze their strengths and weaknesses through the lenses of the consumer. Evaluate Yourself: An essential part of conducting competitor research is to also analyze yourself. The goal of this exercise is to determine how the competition compares to your business and what you offer. Conducting a SWOT analysis of your own business is a common practice. The acronym stands for Strengths, Weaknesses, Opportunities, and Threats. The research you’ve completed on your competitors and taking a critical look at yourself allows for a fresh perspective on opportunities to improve and grow your business. Identifying Market Gaps: During the research, you should take note of the pricing, customer experience/satisfaction, unique proposition, marketing tactics, etc. of your competitors. Doing so may reveal areas of the market that’s either unserved or underserved. For example, there could be multiple mid-level (in terms of price and quality) furniture stores in your city, but none have an online presence that showcases their products and allows customers to view online. This would be an unserved market, which you could use to your advantage and ramp up your online presence to differentiate yourself from the competition. Staying on Top of Trends: Running a competitive analysis will also reveal impending trends within the industry. By identifying emerging trends before it happens, you can stay ahead of the curve and accommodate your products and services to exceed consumer expectations. Market Perspective: Competitive research serves an important function for creating a strategic marketing framework for the business going forward. Nowadays, consumers focus on the value a product or service provides, rather than just the features. Conducting an in-depth analysis of competitors gives insight into the wants and needs of the consumer, allowing you to position yourself accordingly. Conducting competitor research is an integral and beneficial function for the growth of any business. Analyzing your competitors plays a significant role in the Delve step in the ENDREA Method™, and one that we are more than happy to help business owners with to achieve long-term success!